The Murray Darling Basin Authority (MDBA) is powerless to prevent upstream farmers harvesting overland floodwaters desperately needed to flow through the river system for the benefit of all users, the authority’s head has admitted. It comes as details emerge of massive earthworks built to enable upstream farmers to carry out “floodplain harvesting”. 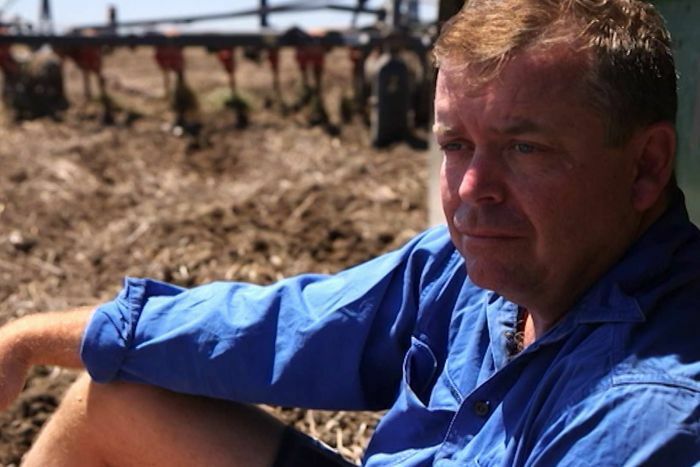 When torrential rains lashed Queensland in 2016, Chris Lamey wasn’t surprised his Goondiwindi farm flooded. What did surprise him was that seven weeks later, his property was still completely under water. “When we found there was no flood downstream we got a chopper straight away and we went to the air and we tracked down to see what was wrong,” Mr Lamey told 7.30. “Massive amounts of earthworks, chronically across the floodplain,” he said. The earthworks are constructed on a large, irrigated cotton aggregate, Norman Farming, that has received tens of millions of dollars through the Commonwealth’s Healthy Headwaters program to make its operation more water efficient. Mr Lamey said the Federal Government’s $1.5 billion plan to save water had backfired. “It’s a scam of massive proportions,” he said. 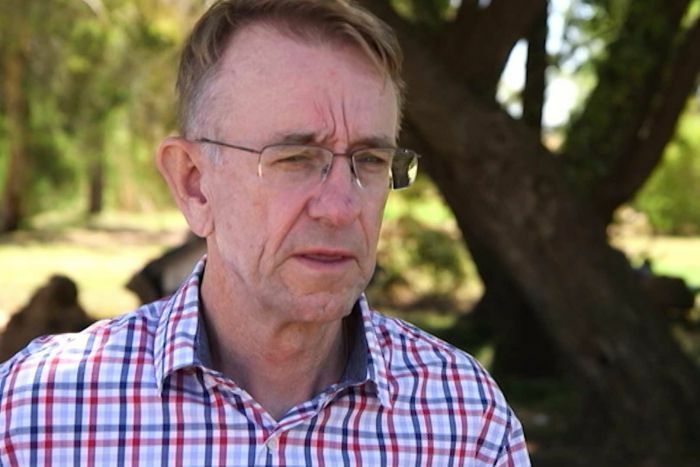 He alleges the Queensland Government, which administers the plan, has allowed Norman Farming to use Commonwealth funds to catch and store enormous volumes of water as it flows over the floodplain. “They’re using government funds to store water on other farms that would normally not get it, and it’s allowing them to take up to 25 times more water than they’re offered in savings, and the taxpayer has funded it for millions of dollars,” Mr Lamey said. “No meters, no-one knows how big the dams are, no-one knows how much water is going where. They just call it leakage. The Queensland Department of Natural Resources and Mines denied claim. In response to 7.30 questions, the Department said the regulation of levees on the floodplain was the responsibility of local government. Norman Farming is run by Cotton Grower of the Year John Norman. Mr Norman declined to be interviewed by 7.30, but told the ABC the bulk of the unapproved banks and roads were in existence when he took over the properties in 2012. He said drains allowed water to run through. Norman Farming is seeking retrospective approval for the earthworks from Goondiwindi Shire Council. 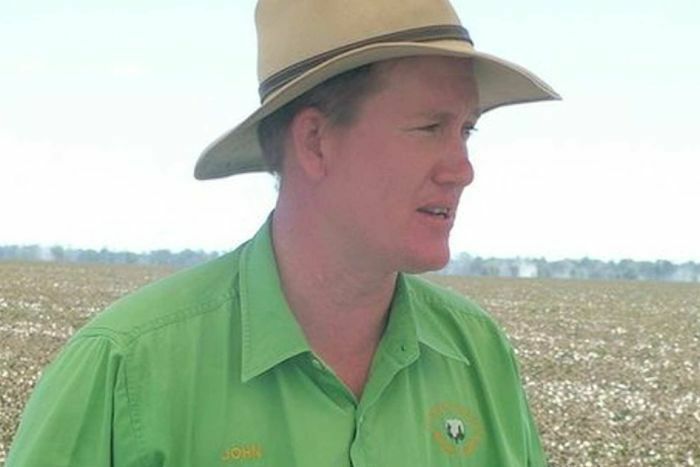 Queensland Police’s Major Crime Unit is investigating whether taxpayer dollars given to Norman Farming have been used appropriately. The ABC understands the company has received at least $25 million for eight separate projects. The months-long covert police operation was revealed last September when police raided Norman Farming properties as well as the properties of several contractors. Norman Farming is now on the market, with an expected sale price of well over $100 million. It lists impressive water resources in its marketing documents. Bill Johnson, a former senior employee of the Murray Darling Basin Authority, said Norman Farming’s extensive earthworks were typical of irrigation practices across the Queensland and northern NSW floodplains. “In the north, most irrigation is based on those works, the big on-farm storages, the channels, the levees,” he told 7.30. “Irrigation up there is based on private works on large properties. Mr Lamey first sought help about the floodplain harvesting 18 months ago. “I contacted 74 bureaucrats,” he said. “Some I never heard back from, some people handled me, some wanted to shut me down. “It’s a huge amount of water that’s being held back in Queensland. Last week, MDBA head Phillip Glyde travelled to Mr Lamey’s farm to see first hand what was happening. PHOTO: Murray Darling Basin Authority head, Phillip Glyde, says the regulation of floodplain works is Queensland’s responsibility.